This smoothie has become one of my new favorite breakfast meals. 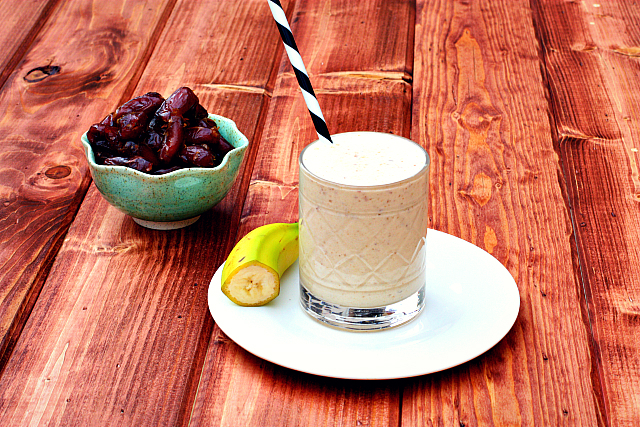 I love the combo of the banana, dates, and oats. There’s something about the combo of dates and oats. It kind of reminds me of a cookie with lots of texture. Another bonus? It’s healthy, and keeps me energized and satisfied for hours. 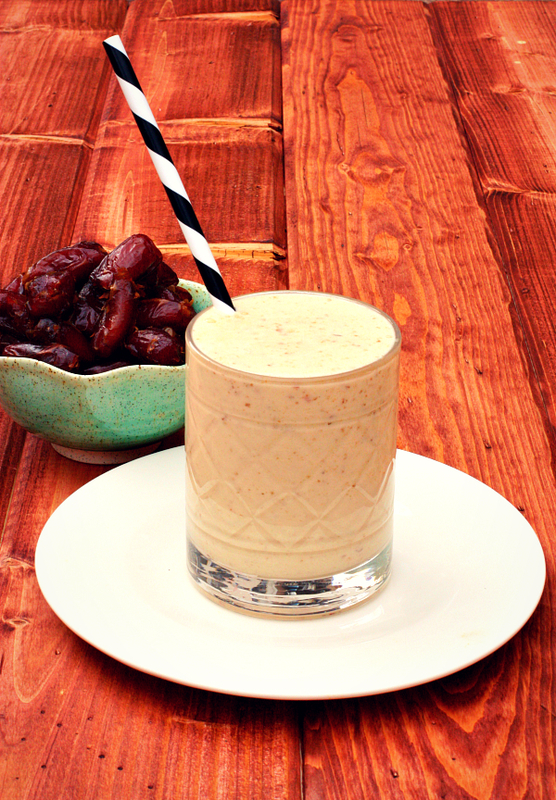 I totally agree, dates + oats are an outstanding combo! Oooh a smoothie that tastes like an oatmeal cookie? Perfect! Totally pinning this! yum! I love dates!